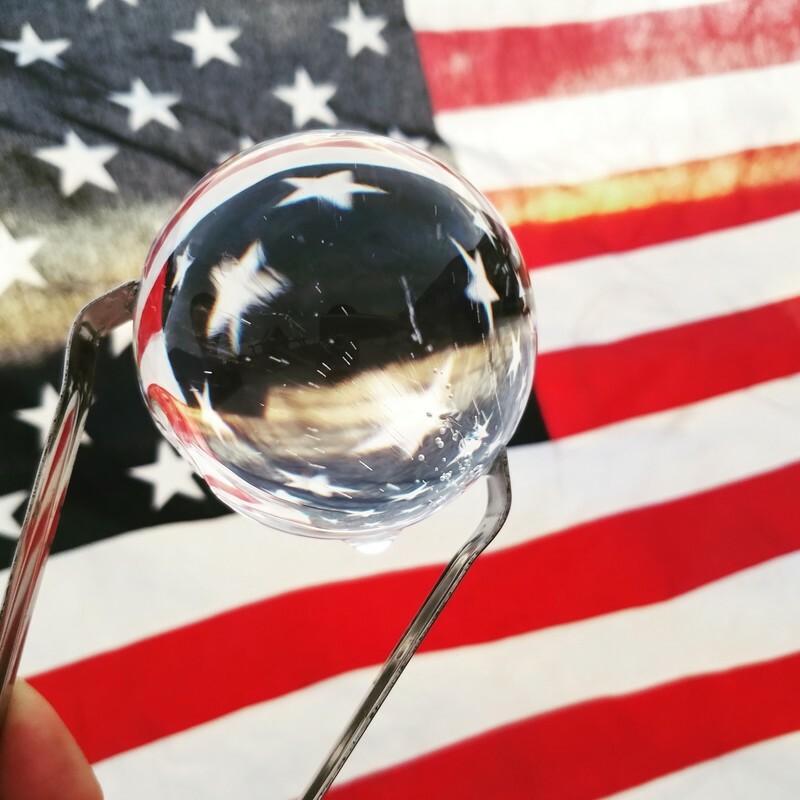 See our store to purchase the innovative "3 Cup Method Clear Ice kit", used to make clear ice 'plugs' in our cup system to create nearly perfectly clear ice balls! Did you know clear ice melts much slower than cloudy ice? 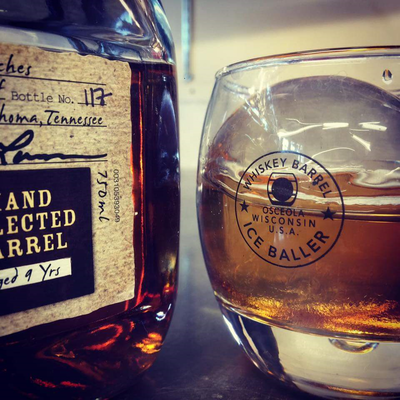 Clear Ice looks great too! A perfect accessory for the person who wants the best. 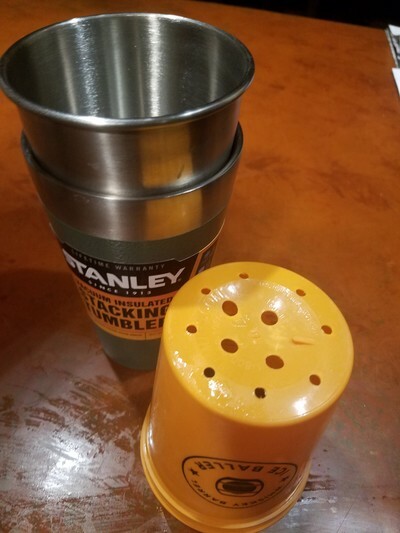 ​-you will now have the orange cup with a section of cloudy (waste) ice on the bottom, break off this cloudy ice. It works well to knock it off on edge of sink. 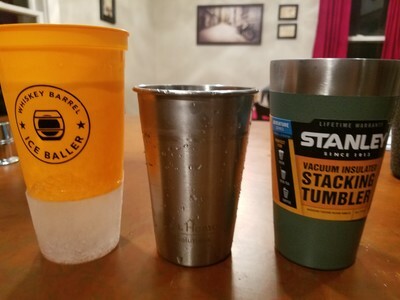 ​-the orange cup should contain clear ice, run orange cup under warm water for a few seconds to dislodge this clear ice. 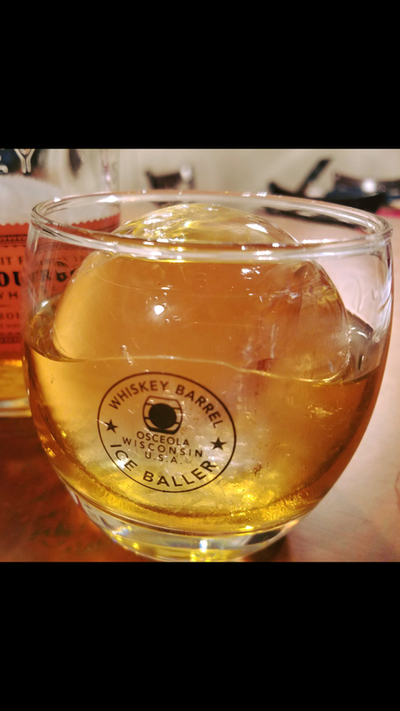 ​-Use the Whiskey Barrel Ice Ball press to make a clear ice ball! enjoy! 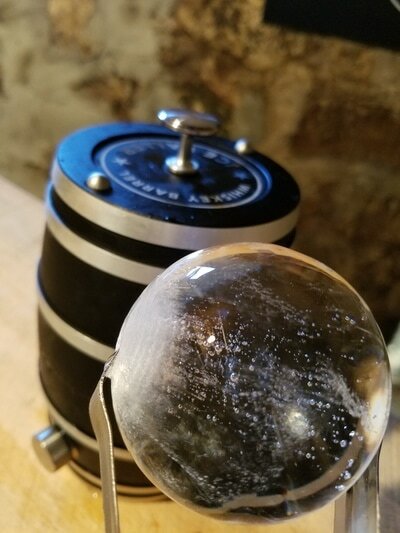 ​(use one clear ice kit to make ice plugs & store plugs in freezer until ready to make ice balls) or make clear ice balls ahead of party time and store in zip lock bags in freezer, or in our party tube that holds 4 ice balls! 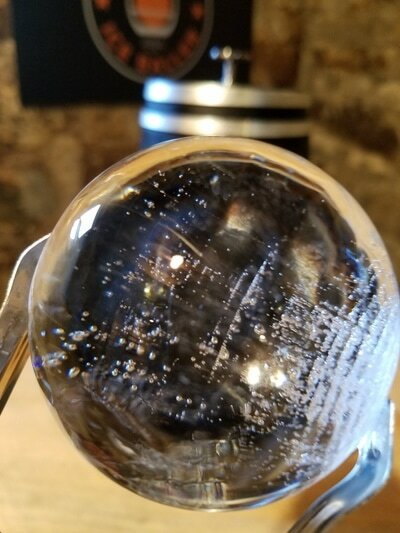 ​If you need multiple clear ice balls on a daily basis, you can use multiple clear ice mold kits. Click on any pic below to take you to the store.